Dana Stabenow returns with "Bad Blood"
Dana Stabenow's 20th Kate Shugak novel just might be her best. Come meet the author and get a taste of "Bad Blood." Restless in the Grave is the newest in the Kate Shugak series by Alaskan author, Dana Stabenow. Come meet Dana and pick up a copy of the next in this bestselling series! Dana Stabenow promotes Restless in the Grave. Dana Stabenow reads from A Fatal Thaw. Dana Stabenow signs Though Not Dead. Dana Stabenow reads from A Cold Day For Murder. Dana Stabenow, A Deeper Sleep. Dana Stabenow reads from Whisper to the Blood . ; Laurie R. King on tour for Touchstone. Dana Stabenow's book Monster's Corner was available from LibraryThing Early Reviewers. Dana Stabenow's book Whisper to the Blood was available from LibraryThing Early Reviewers. 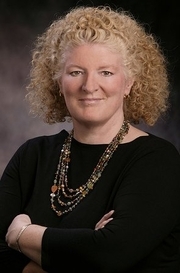 Dana Stabenow is currently considered a "single author." If one or more works are by a distinct, homonymous authors, go ahead and split the author. Dana Stabenow is composed of 10 names. You can examine and separate out names.